Amaravati, AP (July 6th 2018): Since the launch of Andhra Pradesh, Innovation Society, the state has 8 Incubators, created over ~800 Jobs and over 50 activities promoting Startups. Amaravati Development Partner (ADP), has undertaken the master development of the start-up area, which is being built along with the development of the 900-acre Government Core area in Amaravati. Andhra Pradesh Chief Minister Shri. N. Chandrababu Naidu continues to support his promise of allotting $15.6 Mn (INR 100 Crore) to create a separate Startup fund for budding entrepreneurs. Shri. N. Chandrababu Naidu has always been known for his thought leadership when it comes to leveraging technology for the betterment of the common man. One such initiative is REAL TIME GOVERNANCE (RTG Center). RTG Center has been a pet project of the leader of the state. From this super command center, now the state leaders have in-depth understanding of Environmental, Health and Welfare, Law and Order, Governance on Govt. Schemes and last but not the least, the ultimate measure of success which is Citizen Satisfaction Score just a CLICK AWAY. Initiatives like these by AP CM are testimonials of his continued investment into technology and it doesn’t stop with CM alone. Lt.Col. M. Ashok Babu (Additional Secretary to Government, Protocol) supports the initiative by reaching out to IT Startups by leveraging Social media. One such connect by Lt.Col.M. Ashok Babu has been with WOOBLOO, a Personal Assistant App (www.woobloo.com) startup based out of Hyderabad. Post getting a high level understand about WOOBLOO value proposition, Mr. Babu extended a warm invite to come and learn more about AP Govt. initiatives and see how WOOBLOO could provide services to the citizens of Andhra Pradesh. 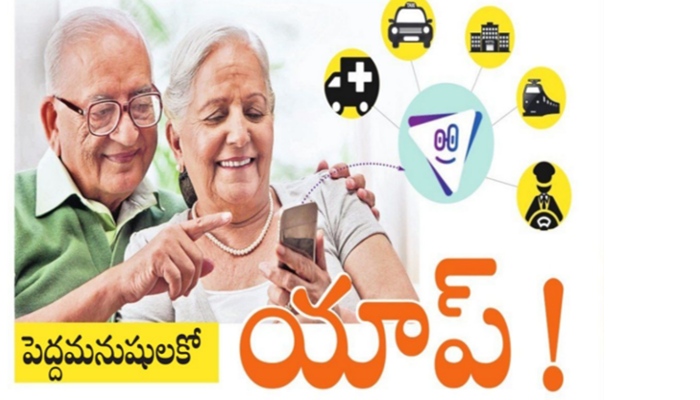 WOOBLOO’s key focus is to deliver convenience of mobile apps to senior citizens, people that are not technology savvy. In today’s internet age, we have mobile apps for everything starting from Booking a Cab, Ordering Food, Buying Medicines, Buying Bus Tickets, Train Tickets and even Handyman services like Electrician, Plumber, Security Guards, House Cleaning Services. BUT not everyone is able to take advantage of mobile app technology. WOOBLOO App is your one stop shop for all your needs and wants. WOOBLOO offers over 50 services across 18 categories all in one single app. 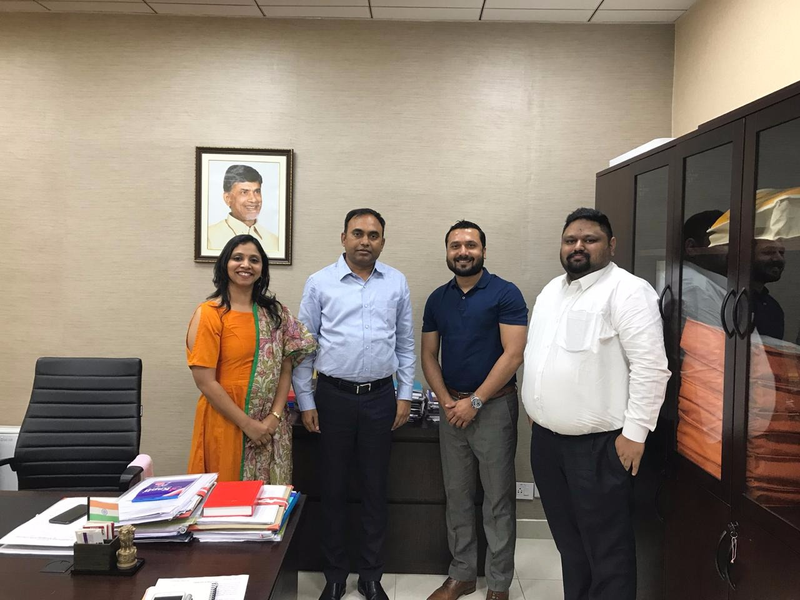 WOOBLOO Co-Founders Ms. Sirisha Gondi, Mr. Rahul Devarakonda along with WOOBLOO IT Head Mr. Shashwat Bishwen had the unique opportunity to learn about various IT initiatives in the two day visit to the AP State Capital Amaravati. 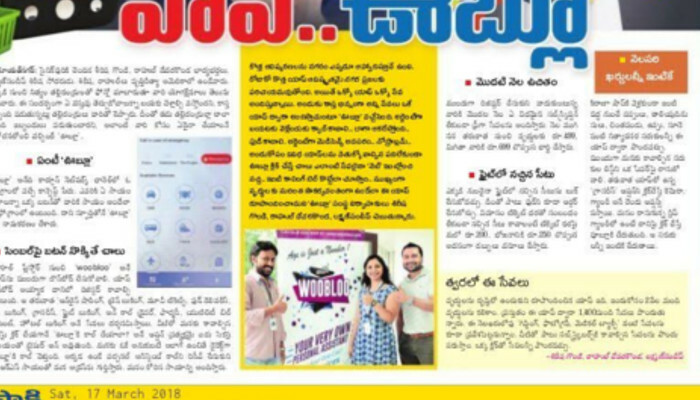 WOOBLOO team in collaboration with the AP Govt. leadership team will be working at identifying areas to make technology accessible to everyone without the need to be technology savvy and also driving job opportunities to skilled professionals within the state.